Why should you rent from Satmodo? It's never too late to get it NOW! Having trouble deciding? Call us! Rent Now - $34.99 / wk! Rent Now - $24.99 / wk! Rent Now - $59.99 / wk! The best bet is to call us at 1 (800) 279-2366, let a Satmodo expert answer your questions and find your perfect rental package. You will pick your airtime bundle. Custom plans are available upon request; just give us a call at 1 (800) 279-2366. Then pick any accessories and optional features you would like to add to the rental. Finally, you will be prompted to put in your billing, shipping, and payment information to complete the rental reservation. If you have any questions regarding the rental or rental process feel free to give us a call at 1 (800) 279-2366. How do I make a call on my satellite phone? Make sure you are outside with an open view of the sky, away from any obstructions. Fully extend the antenna and power on the phone. Make sure the antenna is straight up-and-down at all times. After the phone registers, dial the country code (for the US it’s “1”), area code, and then the rest of the number. Press the green button to place the call and then the red button to end the call. What if I go over on my prepaid rental minutes? Your satellite phone will never shut off during your rental time. If you exceed your prepaid minutes, you will be billed at $1.75/min for any additional usage. How often do I need to charge my sat phone battery? If you want to extend the life of your battery simply keep the phone turned off until you need to use it. The battery can hold a charge for months if the device is kept turned off. Where will I get coverage? How fast is the standard data on the internet rental units? Which satellite internet unit is fast enough for streaming? The Explorer 710 BGAN has streaming data capabilities up to 650kbps. Streaming is an extra feature that is always billed by the minute and costs can get as high as $27.00/minute. Prepaid blocks of airtime can be purchased in 15 minute increments. How much does a Satellite Phone Rental cost? You also have the option to add on car chargers, extra batteries, solar chargers, and much more. Our best-selling satellite phone brand is Iridium who produces the only truly global satellite phones on the market. 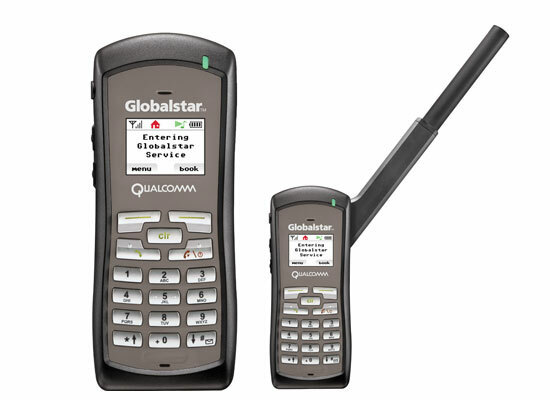 Where can I rent a satellite phone? You can rent a satellite phone from Satmodo Satellite Phones by calling 1 (800) 279-2366 or by visiting our website www.satmodo.com. We specialize in all major brands of satellite phones and mobile internet units including Iridium, Inmarsat, and Globalstar. Our in-house experts can help troubleshoot any issues you may have as well as assisting in setting up purchases and rental units. The only satellite phone and network that India allows is Inmarsat and you must obtain permission before your trip. If you do not have a permit and you bring one you may be imprisoned and you will lose the satellite phone. If you do not have a permit and you bring a satellite phone to Sri Lanka you may be arrested and it will cost you thousands and a confiscated phone. Satellite phones or GPS communications system are forbidden in Cuba unless you have taken all the steps necessary to obtain a permit from the Cuban Ministry of Informatics and Communications. Sudan bans most electronic devices. We highly suggest looking into this matter when you are applying for your Visa or other travel paper work. North Korea does not allow you to bring satellite phones with you. Nigeria has banned satellite phones in certain areas due to terrorist groups. It’s unclear what the law is there about satellite phones but looking into the matter is highly encouraged. There has been much unrest and infighting in Myanmar/Burma. In the past most communications was disabled and outside communications was not allowed. This is a country where you have to do your own checking before renting or buying a sat phone. Chad restricts the use of a satellite phone or possessing one. Requires registration prior to bringing the satellite phone in. Satmodo will help you with this step. We encourage doing your own research here. Certain satellite phone networks were banned in the past and currently laws are not clear. Please look into this before committing to any sat phone. Satmodo LLC is offering this information to be helpful and informative. This is not being offered as legal advice in any way. We highly encourage you to do your own research and contact the embassy or consulate for the country that you will be traveling too.